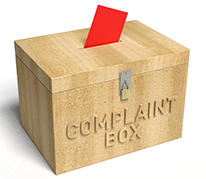 We have a procedure for receiving suggestions or complaints and we welcome your comments on our services. Please speak to Mrs. Kim Henning, the Office Manager who will if necessary arrange for you to see Mr Mark Tyrrell, the Practice Manager. Alternatively, you can write, or ask to speak directly to the practice manager.